I started blogging in 2013, when I was about to finish university and start working towards my Masters degree. I wanted a new challenge, something that I could work on and improve on in my spare time. Most importantly I wanted to create something that I could call my own. Fast forward to 5 years later, and I’m even more in love with blogging now than I was back then. It’s given me so many opportunities to meet new people, work with brands I love, and it’s given me a space to express myself and write about the things I am most passionate about. Thinking of starting your own blog this year? Well, here are 5 reasons why I 100% think you should go for it! Blogging is a challenge – a fun and rewarding one! It’s a challenge to sit down and write posts for your blog consistently, to keep this up even when times are busy, and to manage your time well enough to balance your day job with running a blog. However, it’s a great little challenge to set yourself and allows you to learn new skills day by day. Developing new skills is part and parcel of blogging. By starting a blog, you will need to teach yourself skills such as how to write interesting posts, how to use a camera and take great photos, manage different social media channels, reach out to PR companies, and manage your time effectively. It may seem daunting at first – but the best thing about blogging is that you learn as you go along. As time goes by, you will become a better writer, a better photographer… blogging allows you to truly become an expert in your field. As I mentioned, blogging helps you develop a new set of skills – skills which can also be useful in your day job! Last year I wrote a whole post on how blogging can help your career, which I’d recommend giving a read. Skills such as the writing skills you develop, your photography skills, your ability to work independently, motivate yourself and build relationships are all valuable skills that you can add to your CV. Whether it’s online or IRL, blogging about a certain topic or topics is a great way of (virtually) meeting other people who are interested in the same things as you! Whether that topic is beauty, travel, baking, cats or business – your blog will attract people with similar interests to yours – and that’s always a great basis for developing new friendships, right!? Starting your own blog means having your own little corner on the Interwebs where you are free to express your ideas, voice your opinions and potentially do great things with, whether that is creating new opportunities for yourself, building a business or simply helping others out. It is yours to do whatever you please with – and that, for me, is enough of a reason to start your own blog! If you’re got any questions about starting your own blog, check out my previous blogging posts or contact me by email! 2017 was a great year for Beauty and the Bird. In its 4th year, Beauty and the Bird gave me the opportunity to collaborate with some of my favourite brands, publish posts that I am really proud of, improve on my photography and learn more about the ever-evolving industry that I love – blogging. My little corner on the web has come a long way since I hit ‘publish’ on my first blog post back in 2013. And with the new year just in, it was time to reflect on how I can continue to evolve Beauty and the Bird into something that I am even prouder of – something that you, my readers, will continue to enjoy. Back when I started my blog, I steered VERY clear of sharing anything remotely personal on my blog. Instead, I kept the focus of my blog solely on beauty – and that was ok at the time. However, as time went by, I slowly became more comfortable with sharing a bit more about myself – a sneak peek into my life, my beliefs and my challenges – of what really happens behind the scenes of Beauty and the Bird. In 2018, I want to get personal. I want to give you the opportunity to get to know me better – what I love, what I hate, my ideas, and what I believe in – and I want to get to know you, my readers, better too! Whether that’s in the comments section on my blog, or over on Twitter/Instagram/Facebook – don’t be shy to say hi! Beauty and the Bird started out as a beauty blog, and it’s still the main focus of my blog. More recently, however, I’ve fallen deeper and deeper in love with fashion and changing up my style. In 2017, I feel that my style has really started to evolve – I’ve been more adventurous with what I wear, invested in better quality pieces and most of all, I really started to appreciate how fashion can be used to show different sides of your personality to the world. In 2018, I hope to publish even more fashion-related content, especially OOTD/styling posts – which are more of a challenge to create, but so worth the extra effort! Apart from writing about beauty and fashion, some of the blog posts that I have written with the most passion fall under my ‘lifestyle’ category. This year, you can expect to see even more lifestyle posts which you will hopefully be able to relate to. I was doing so well with uploading videos to YouTube in 2016 – however this sadly seemed to slowly fizzle out in 2017 as I was more focused on my blog and freelance work. However, this year I really want to focus on creating more video content over on my YouTube channel. Blogging will definitely remain my main focus for now, however I feel that videos are a great way of adding an extra dimension to a blog – and with that in mind, I’ll be dedicating a certain amount of time per month to uploading more regular videos to my channel. Subscribe here to keep up with new videos! Want to grow your blog? I’d highly recommend checking out The Bloglancer! An increasing number of people have started blogging in the last few years. As a result, the opportunities for bloggers have grown considerably – whether that is collaborating with companies, offering freelance services or simply having the opportunity to improve on your skills. However, one thing that most bloggers have in common is the wish to grow their blog. Today I’ve rounded up the best advice on how to grow your blog from 15+ top bloggers. Starting out as a new blogger can feel a bit overwhelming as there is so much to think about – a blog name, what platform to use, how to promote your blog, etc. 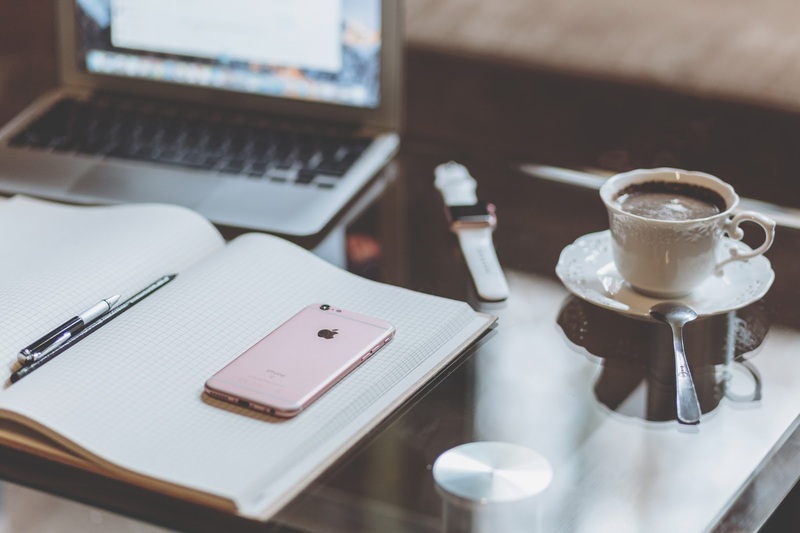 Ali Hemsey wrote a great post with her tips for new bloggers whilst Tania Michele shared her most helpful websites for bloggers which is a fantastic resource for those starting out. If you love a good checklist (I know I do! ), full-time blogger Emma Drew has a free blogger checklist which includes everything you need to do before and after hitting publish on your latest post. I also love Simply Abbi’s recent post on the blogging tips that actually work and Caitlin Jean Russell’s post on 5 tips to increase blog traffic, both of which are definitely worth a read. I revealed the mistakes I made when I first started blogging in a post earlier this year, which also includes some tips for new bloggers. Apps can play an important role in the way you manage your blog – but it’s all about knowing which apps to use! From Fiona has a useful list of her favourite blogging apps (some of which I hadn’t heard of before and will definitely be downloading!) and Carolanne from A Literary Cocktail also shared her 5 must-have apps for bloggers. Real Mum Reviews also has a comprehensive list of 30 must-have apps for bloggers which cover everything from editing and scheduling to invoicing! There’s no denying that working on the visual aspect of a blog and making sure that it looks aesthetically pleasing is a very important part of blogging. However, this does not mean that you need to be a professional photographer with expensive equipment. Jenni from By Jenni compiled a fantastic list of 125+ of the best free stock photo resources for bloggers and you can find some really good photography tips for bloggers on The SITS Girls website. I also wrote a post earlier this year on whether you really need an expensive DSLR camera for blogging which you might find interesting. Apart from having gorgeous visuals, great content is another must-have for any blog. Georgia from Mapped Out shares her tips on what to do when you hit bloggers’ block as well as optimising your blog content for Google (SEO). Rhian Westbury also has a fantastic post on SEO tips to help increase your blog’s DA. Justine from Girl Gone Dreamer wrote a list of tips for blogging on zero budget, which is super helpful as it shows that it is still possible to run a successful blog with great content even if you haven’t got much in terms of a budget! You can also discover how I go from thinking up blog post ideas to actually writing the post. Writing blog posts is only a small part of blogging – promoting your blog posts is even more important. Kathy from Glitz & Glamour Makeup wrote a post with an impressive 76 ways to promote your blog and increase blog traffic and Chloe from Life Unexpected also shared a great list of 14 places to promote your blog post after you’ve hit publish which I would highly recommend checking out. One of the best things about blogging is that you learn as you go along – by getting stuck in and gaining experience. One of the most satisfying things is seeing your progression from when you first started out to where you are now – and because it’s a blog, it’s all documented! I hope you found these tips useful. If you have any useful blog posts please share them in the comments section as I’d love to check them out. From time to time, your blog may experience dips in traffic and popularity, or you might just get an overall sense that your site is underperforming. If this is the case, then the following tips — from web hosting to site layout — might just be the answer you’re looking for. As a blogger, your site may be a place to write down your thoughts and have the occasional rant, or it could be a fully-fledged brand that you’ve worked hard to establish. Either way, a blog is something you have put a lot of time and effort into, so naturally, you want it to be successful. There are many ways a blog can be changed for the better. Some are advanced, while others are fairly straightforward and don’t require much effort. In 2016, mobile internet overtook desktop as the most popular way people chose to get online. Mobile-friendly sites are websites that maintain their appearance when being accessed on a mobile device. In the digital age, where so many people use phones and tablets to go online, this has become essential for website owners. Taking so much time to design the perfect blog, only to have it looking like a jumbled mess on mobile devices, is incredibly frustrating and will make people leave your site quicker (increasing your bounce rate). A study has shown that non-mobile-friendly sites have been dropping in the rankings and disappearing from Google’s top pages, which is obviously terrible in regards to SEO. When you use search engines, the specific words and phrases you enter are known as keywords. When these keywords are searched for online, the websites that appear first – and therefore have the most traffic and visitors – are those that have content featuring those keywords. The use of relevant keywords is an efficient way of increasing the number of people who stumble upon your site. Making sure to use keywords that people will actually search for is vital. By using overcomplicated and unique keywords, there’s a much slimmer chance of your site ranking well. Unless you use a free service like WordPress, you will have purchased web hosting services by now. As shared website hosting is the cheapest option, it’s the usual choice to get a website or blog off the ground. While this may be ideal to stick to a tighter budget, shared web hosting is limited in regards to the amount of available bandwidth and web space. The layout and design of your blog play vital roles in its ability to engage and maintain the attention of your audience. If web users don’t like what they see, or an unnecessary clutter of images and widgets is making the experience a bit of a nightmare, they’ll be closing the tab real quick. Opting for a simple, professional-looking theme will make your blog easier on the eye and let your content do the talking. You also have to consider how user-friendly your site’s design is. If it looks amazing but is an absolute nightmare to navigate between pages and use menus, it’s a safe bet that people will opt for a blog that is more fluent and less annoying to use. As a blogger, you’ll be familiar with, or at least aware of, SEO: marketing techniques that assist your site in its quest to rank highly on search engines. This will help you to become authoritative in your chosen niche, increasing the amount of traffic your site receives in the process. If your website’s content features a large number of high-quality backlinks, it’s extremely beneficial for SEO. Linking to high-authority relevant sites will demonstrate to search engines that your blog is relative to the subject matter and therefore will make you rank higher on search query pages. There are so many ways a website can be changed for the better, whether it’s aspects of design, upgrading your web hosting service, or optimising content to benefit your blog’s SEO potential. The tips above are an ideal starting point for giving your blog a boost in productivity and helping your site to perform better across the board. Want more blogging tips? Find out how blogging can help your CV, Google Analytics basics for bloggers, and the blogging mistakes I made when I started this blog. We’ve all heard the saying that if you want to grow your blog and potentially start to earn a part-time or even full-time salary from your blog, then you must start to treat your blog as you would a business. One of the ways in which you can start treating your blog as a business and promote it offline is by creating some business cards for your blog. Today I’ll be sharing 3 reasons why you need business cards as a blogger. One of the main reasons why every blogger should have their own business cards is that it can really help you build a connection with the people you meet, whether that is at blogger events, conferences, or any other event that involves some sort of human interaction! Exchanging your business card with other bloggers and brands at events can help you build a relationship with them in terms of gaining new readers as well as opening up new opportunities for collaborations. People won’t see your blog as a professional business unless you treat it that way yourself. Of course, being professional as a blogger has a lot to do with the quality of the content that you create as well as how you approach and communicate with other brands, bloggers and readers. Having your own business cards for your blog is another way of treating your blog as more than just a side hobby and it’s also a great continuation of your brand from the online to the offline world. In this day and age where everything is online and technology-based, having an business card to give to potential readers or brands is something that can really help you to stand out and be more memorable. Think of all the times you’ve spoken to someone about your blog – perhaps you’d mentioned the name or given them the URL. It’s quite likely that the person either forgot or just didn’t bother to click on to your blog. By giving people something to hold on to, it’s more likely that they will translate into new readers, thereby helping to grow your blog. Have you got business cards for your blog? At the end of last year I quit my 9-5 job, and I now work part-time from the office and part-time from home. This has meant sorting out an ‘official’ working space, because as much as working from bed sounds appealing, it’s definitely not the most productive of places! Today I’m collaborating with Rooi.com to give you a sneak peek into my office space. Of course, no office space is complete without some cute stationery – and apart from having an amazing range of luxury homeware items and gorgeous scented candles, Rooi.com also have a great selection of Insta-worthy stationery, which you can see pictured in this blog post. [pipdig_padded_text]Not having to physically travel to an office every single day has many perks. There’s no long commute in the morning, you can start working as early – or late – as you like, work in your comfy clothes or PJs for extra comfort, and you can take as many short breaks your heart desires throughout the day. [pipdig_padded_text]By far one of the best things about working from home is that you can really make the space where you work truly ‘your own’. Sure, you can place a framed photo of you and your loved ones on your desk at work. However, working from home means that you can really take this to a whole new level and make your office space as comfortable and cosy as you wish – fluffy blankets, cushions, framed inspirational quotes and seasonal flowers are all possible options for your work space. One of my favourite ways to create a relaxing atmosphere in my office space is by lighting a scented candle. This scented candle from Emma Bridgewater, aptly named ‘Feels Like Home’ has a comforting chamomile, lavender and orange blossom scent that is just so delicate and lovely. Do you work from home? Or do you work in an office and love it? I’d love to know your thoughts! Google Analytics is an invaluable tool for your blog. Today I’ll be going over the absolute basics, including the difference between sessions, users and page views, what a bounce rate actually means, what kind of posts are the most popular on your site, and more. Google Analytics allows you to gain a better understanding of the users who are visiting your blog, what they are looking for, and how they are getting to your blog, amongst many other things. Understanding this will allow you to understand your audience better, tailor your content, and ultimately it will allow you to grow your blog. [pipdig_padded_text] If you click on to Audience > Overview, you will see something similar to the screen shot above. Sessions, users and page views can give you some pretty interesting information about your blog – but what’s the difference between them? Page views refer to the total number of pages viewed on your blog. Users refers to the total number of unique visitors to your blog (a metric that PR companies are normally interested in). Sessions are the amount of times that users have clicked onto your website and may include several page views. So, if you clicked onto my blog and read 5 different blog posts before leaving my blog, this would be 1 session, 1 user and 5 page views. 2. What is a bounce rate!? 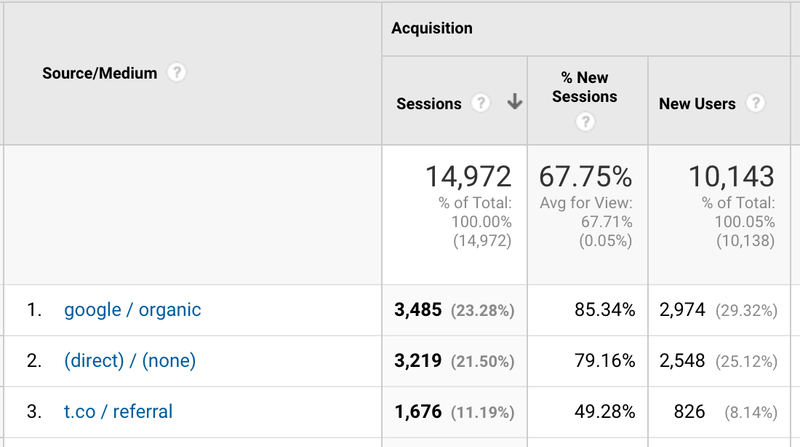 Unlike most other metrics on Google Analytics, the lower your bounce rate is, the better! This is because the bounce rate refers to the percentage of sessions on your blog in which the users only viewed one page before clicking off. This can happen quite frequently in blogs. For example, if someone searched for ‘MAC Blusher Review’ and landed on your page, they are quite likely to go back to the Google search results page once they have finished reading your review, rather than explore more of what your blog has to offer. In order to improve your bounce rate (ie. achieve a lower percentage of people who click off your blog after one page), you can add links to your blog post encouraging users to click on to other pages on your blog. 3. How to find the most popular posts on your blog. Go to Behaviour > Site Content > All Pages and here you can find all the pages on your blog, ranked according to the number of page views each one has received. Be sure to select the right date range to find out what have been your most popular blog posts this month, year, or ever since you first started your blog. Here you will notice that for each page, Google Analytics gives you the number of page views and unique page views. The difference is that page views is the total number of times that page/article has been viewed, whilst unique page views refers to how many different users have visited that page. So if someone has clicked onto a particular blog post twice, it will show up as 2 page views, but 1 unique page view. [pipdig_padded_text] Click Acquisition > All Traffic > Source/Medium to find out where your visitors are coming from. Anything that shows up as ‘google/ organic’ is coming from a Google search, and you can increase the number of users that visit your blog from Google searches by optimising your site for SEO – I’ve got a full article on SEO tips for bloggers here. You might also notice ‘t.co/ referral’ which refers to users coming to your blog through Twitter, and ‘direct /(none)’ which refers to users who have arrived at your website through typing in your URL. 5. In which countries do your blog readers live? In order to find out what location your blog readers are coming from, go to Audience > Geo > Location. This will give you a list of the number of visitors to your website from each particular country, how long they tend to stay on your blog, how many pages they tend to visit per session and more. 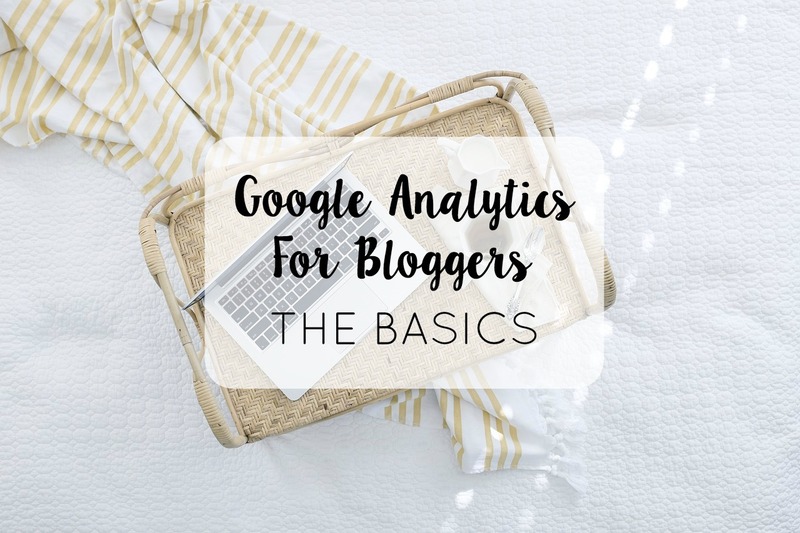 I’ll be preparing more blog posts around ‘Google Analytics for Bloggers’ so pop any questions you may have below (or send me a message) and I will include these in my next post. One of my favourite ways to unwind in the evenings is by catching up on some of my favourite blogs. Today I’ll be sharing 5 of my favourite beauty blogs, which you should definitely check out if you haven’t already! I’ve been following Emmy’s Beauty Cave for as along as I can remember, and it is by far one of my favourite beauty blogs out there. Emmy’s blog is packed with honest beauty product reviews (including lots and lots of swatches, which I love!) as well as lifestyle posts, blogging tips and some yummy recipes (you need to check out her recent gooey chocolate brownie recipe!). Jasmine Talks Beauty is also one that I have been following ever since I first started blogging, and it’s been amazing watching Jasmine’s blog grow! Jasmine’s photography is amazing and very distinctive, and her blog is packed with the prettiest makeup products that make you instantly want to add to your shopping basket and click purchase! From beauty product round-ups to brands you need to know about, Jasmine’s blog is definitely one you need to check out. Beauty With Charm is another must-read blog for beauty-lovers! Alina’s blog is packed with gorgeous photos of the latest beauty releases and the makeup products that you need in your life (complete with amazing swatches, of course! ), as well as fashion and lifestyle posts. I’d also highly recommend checking out Alina’s Instagram page, which is just pure #goals. Kara’s blog is another one of my absolute favourite beauty blogs. It is packed with amazing content and I always look forward to a new Spread the Sparkle blog post popping up on my Bloglovin feed! From wish list posts to beauty product features, reviews and fantastic photography, Kara’s blog has it all and is one you definitely need to check out if you’re a beauty addict like I am. You’ll definitely make a few new beauty discoveries that you’ll need to add to your shopping basket! Last but most definitely not least, Caroline’s blog, Tea and Beauty, has recently had a major revamp, and it’s looking better than ever! Tea and Beauty is definitely one that you need to check out if you love reading all about best beauty finds, honest product reviews, skincare, and lifestyle posts, including travel, books and more. Caroline’s lovely personality shines through in her blog posts and I can’t wait to see more from Caroline this year! Every blogger has their own unique way of creating content. From coming up with blog post ideas, taking the photos, writing up the actual post, to finally hitting PUBLISH – we all do it differently! Today I’ll be taking you behind the scenes of Beauty and the Bird and sharing my blog post writing process (+ some tips!) with you. Coming up with blog post ideas is the hardest part of my blog post writing journey. However, it’s also something that I feel I really improved on in the last few years. Ideas pop into my head at the most random times and due to having the amazing memory of a gold fish I always make sure to jot down my ideas in my notebook or the notes app on my phone. However, when I’m completely stuck for ideas I always turn to Bloglovin or Pinterest. Scrolling through my feeds really inspires me to think of new ideas and topics that I’d like to cover on my blog, and I jot these ideas down in my notebook. I also find it helpful to think of events that I have planned (and so, that I can potentially write about) and to think about what I have been up to recently – even if I haven’t been up to anything! Funnily enough, one of my most popular blog posts to date was inspired by me not having been up to much and not wearing any makeup for 2 weeks! Check out: 5 things I learned from going completely makeup free for 2 weeks. Whatever I’m writing about, I just cannot write a blog post without having any photos to work with. Even as I write this post, the photo is already added to the post and helps inspire me to write (anyone else!?). Because of this, I always start by (preferably) taking my blog photos or alternatively sourcing royalty-free images online. Once I’ve got my photos sorted and ready to go, I feel like I’m ready to start writing. Although I enjoy the whole process of running a blog – taking the photos, posting content on social media, replying to emails about potential collaborations – actually sitting down to write a blog post is the part I enjoy the most. I know this is different for every blogger, but I find the process of writing about a product or topic that excites me to be so therapeutic. Even if I’ve had a rubbish day, I really look forward to sitting down with my laptop in the evening and writing away! It can take anywhere between 20 minutes to 1 hour 30 minutes for me to write a blog post. Product reviews generally take me the least time, possibly because I have been doing these the longest and have figured out a formula which seems to work. 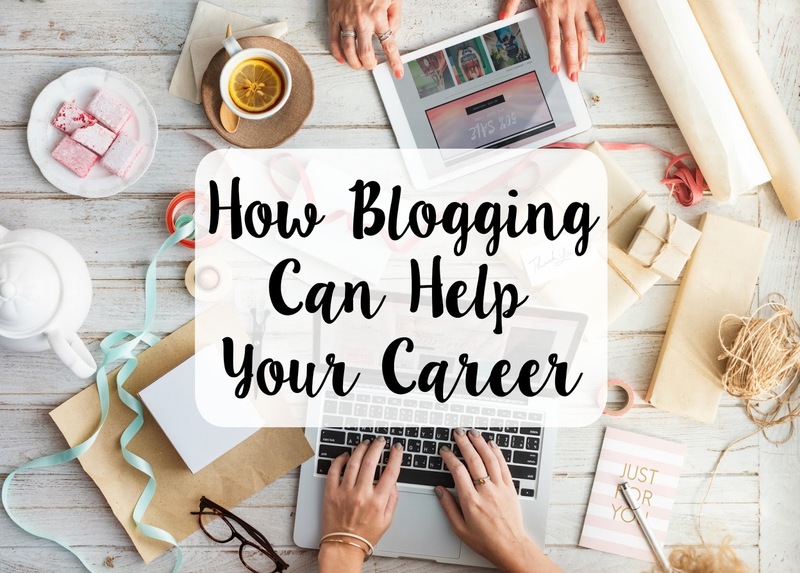 On the other hand, more lengthy posts such as this one or my recent ‘How Blogging Can Help Improve Your Career‘ post can take quite a bit longer. Step 4: HITTING PUBLISH + The Beginning of Your Blog Post’s Journey! After I’ve finished writing a blog post, I normally go through it once or twice adding any relevant links to previous blog posts and optimising for SEO, before proof-reading the post one last time and finally hitting PUBLISH! … Or ‘Schedule’ – but that doesn’t quite have the same effect does it!? As much as I love scheduling content in advance and knowing that I’ve got my content prepared for the next week or so, I’m just sooo impatient and normally want to hit publish right away. Anyone else? I used to think that once a blog post is up, that would mean that my job here is complete, right? Wrong. Hitting publish is just the beginning of your blog post’s journey in the big wide world, and unless you get your content out there, promote it and make people aware of the fact that you’ve got something new and exciting to read, then you might not get the kind of traffic that your new post deserves. Check out: 5 Blogging Mistakes I Made When I First Started Blogging. What is your blog post writing process like? Do you start by writing, taking the pictures or something completely different? I started this blog back in 2013, yet for years I thought it wasn’t worth adding my blog to my CV. I thought that it wasn’t really relevant and that any potential employers might find it a bit silly. A few years down the line, I now know that having a blog can actually help improve your CV and land you your dream job. Never underestimate the power of running your own blog! Whether you blog as a side hobby and want to prove your skills to a prospective employer, or if you blog part-time or full-time and want to apply for a new job, here are some of the invaluable skills that blogging can help you demonstrate in your CV and during your interview. Blogging involves a lot of writing. Whether you are writing up a blog post, posting content on your social media channels, pitching an idea, or communicating with a PR company via email, writing is a big part of blogging. Therefore, even if you didn’t consider writing to be one of your strengths when you first started blogging, it would have most likely improved along the years – and no matter what job you’re applying for, writing is a very useful skill to have! Blogging and social media management go hand in hand, and it is unlikely that you run a blog and don’t use any social media channels to drive traffic back to it. Through doing this, you’ve probably acquired a great understanding of social media, such as how to grow different social media channels, scheduling content, what kind of content does better on different channels, how to interact with social media followers, and how to keep track of these channels. Social media is incredibly important for businesses nowadays and therefore, showing off your social media management skills can definitely earn you some extra points! Check out my Twitter Tips for Bloggers. Photography is a huge part of blogging nowadays – even more so in certain niches such as beauty, fashion and travel. You can use the photography skills you have acquired on your blogging journey to your advantage, whether that is your skill in actually taking photographs, or your photo editing skills. If you run a YouTube channel in addition to your blog, this may also demonstrate your video editing skills – so don’t forget to include this in your CV. Writing a good blog post involves a certain amount of research, whether you are writing a product review, an article about your new favourite designer, or a post with tips on how to overcome a challenge. This demonstrates that you have the right skills to look up information and use the information you need to your advantage. Researching skills are invaluable! If you decide to run your own blog, it is highly likely that you have great self-discipline and you are quite obviously able to motivate yourself to work and achieve goals. This shows your employer that you are more than capable of working without supervision and it also shows that you are a self-starter who is capable of achieving success without having someone pushing you along the way. This is an essential skill, especially if you are applying for a job that involves working from home. As a blogger, you inherently develop the skill of working on a number of different projects simultaneously. You might be at the stage of discussing a sponsorship opportunity with a PR company, whilst taking the photographs and preparing the text for an upcoming post, managing your social media channels, and fixing the broken links on your site – phew! There are very few jobs out there that don’t require some degree of multitasking, so it’s definitely a skill worth shouting about. Finally, blogging is all about building relationships; with your readers, with other bloggers and with PR companies. This requires you to be professional and friendly, and to know how to communicate effectively with others face-to-face, over the phone, via email, or on social media. And what employer wouldn’t want that!? Are there any other skills that you have gained through blogging? And do you add your blog to your CV?